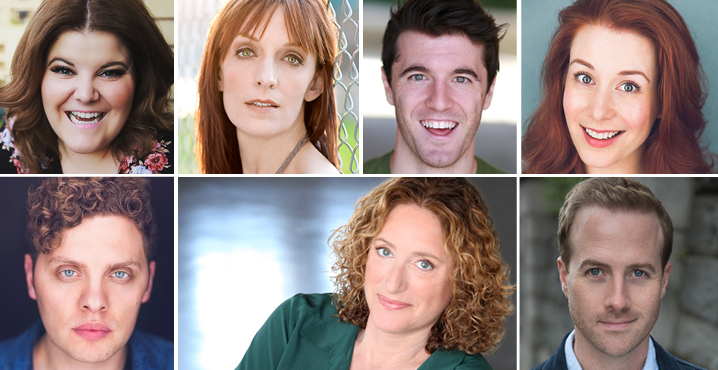 "Thankful Heart," "Marley and Marley" and other beloved songs from the classic Muppets film, performed by Broadway talents Judy Gold, Julia Murney, Ryann Redmond, Bret Shuford and more! A new holiday tradition is born when Broadway Sings The Muppet Christmas Carol takes to the stage. NJPAC is happy to present a concert version of the music, the magic and the holiday cheer of the Muppets' memorable rendition of the Dickens tale. This new twist on the movie presents all of the Paul Williams score's festive and funny songs, including "Scrooge" and "It Feels Like Christmas." As a special holiday treat, we'll even throw in some numbers that didn't make it to the big screen. All this merry-making is wrapped up in a shiny bow by some of Broadway's biggest talents: two-time Emmy winner Judy Gold (25 Questions for a Jewish Mother) leads the cast as Scrooge, and will be joined by Julia Murney (Wicked, Lennon), Ryann Redmond (If/Then, Bring It On), Bret Shuford (Amazing Grace, Paramour), Joshua Morgan (Les Miserables), Kevin Zak (Clinton the Musical, Silence! ), Phillip Taratula (The Outs, Empire Travel Agency), Will Porter (A Chorus Line, CATS), Gretchen Wylder (Clinton the Musical, Bedbugs! ), Sara Gallo and Amanda McDowall. Note: The Muppets characters do not appear in this performance. NJPAC is located at 1 Center Street, Newark, New Jersey; a short walk from the Newark Penn Station stop for New Jersey Transit, PATH Train and Amtrak trains.